We are excited that you are interested in attending Cedar Crest College and know you’ve worked hard for your previous credits. That’s why we have generous transfer credit policies and provide one-on-one interaction with a transfer counselor who will guide you through the process. Set up an appointment with a transfer counselor today! Or go to our Visit Us page to see all of our admissions visit options and events. Students must have a 2.0 or better to be considered for acceptance. Students must also have a grade of C or better in transferable courses. Students with an Associate of Arts (A.A.) or an Associate of Science (A.S.) degree from a regionally accredited two-year or four-year institution will be credited with having satisfied the equivalent of the College’s liberal arts requirements. The Registrar is responsible for verifying student fulfillment of this requirement through a review of each applicant's official transcript. This policy does not apply to students holding an Applied Associates degree. Although a minimum 2.00 GPA is required for consideration, the some Academic Programs have higher admission requirements. We encourage you to apply early in the semester prior to your planned enrollment at Cedar Crest. 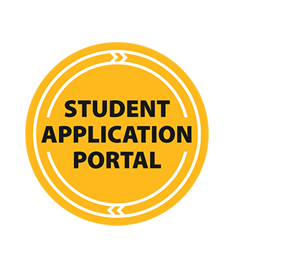 Applications received less than three weeks before the term begins will be considered on a space-available basis. A required personal essay (minimum of 3 paragraphs) is included in your online application. Submit your official high school transcript with graduation date, or official GED score report from the state of issue as proof of graduation or equivalent. Applicants are typically notified within 24 to 48 hours after their file is complete and will receive communication via the email address provided on the application throughout the admission process. Awarded to full-time transfer students based on their cumulative transfer GPA from all transfer institutions. The Presidential, Trustee, and Founders Scholarships are automatically renewed each year provided the student maintains a 2.5 cumulative GPA and retains a full-time student status. Be sure to list Cedar Crest College as your school choice (our code is 003243) on your Free Application for Federal Student Aid (FAFSA) at fafsa.gov. The amount of Federal Direct loans offered to you is based on the number of transfer credits accepted by Cedar Crest. Please be sure to forward your final academic transcript/s to your Cedar Crest advisor as soon as available.